Game farming is in the blood of the Bezuidenhout family. Late Coen Bezuidenhout and his son Basie Bezuidenhout has been game farmers since the early 80’s in Kwazulu Natal. While still farming with game in Kwazulu Natal until 2007, they bought a Karoo farm in the Western Cape in the early 90’s for sheep and game farming. Basie’s son, Coenraad, studied Nature Conservation and started his farming career in 2005. Just like the rest of his family he too has a passion for game farming and stud breeding. Apart from game farming the Bezuidenhout family also has an Angus stud since 1983. Vredenheim is situated 5km outside Stellenbosch in a traditional grape wine area, but not all the areas are suited for grape farming. This in mind, and with the family’s passion for game farming, and their 33 years of stud breeding experience Conraad decided to get involved with exotic stud game breeding. They have maintained various game species (Blue Wildebeest, Eland, Springbok and Sable) on Vredenheim for the past 20 years for tourism. They took notice of the exceptional adaption of these species on the farm. They knocked on the doors of Castle de Wildt, one of the best in the industry, and after several meetings and game auctions the first Golden Wildebeest and Sable arrived at Vredenheim and Wysersdrif on the 5th of October 2016. The Game Industry in the Western Cape is still in its infant shoes and we are excited to be amongst the first to drive this special industry. In order to spread their wings down south, the Castle De Wildt group joined forces with Wysersdrif Game Breeders as well as Vredenheim Exclusive Game Breeders and De Kaap Game Industry were established earlier this year. They share the passion for top herd genetics in the wildlife industry. 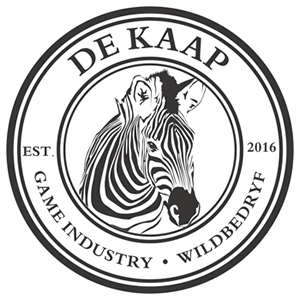 The first professional game auction of De Kaap Game Industry, in the Cape Province, is scheduled for the 9th of September 2017.